May 2011 issue of Honda Tuning issue is out, and it has a nice 5th gen in it! The May 2011 issue of Honda Tuning magazine is out, and it is a great issue! It is special to me because this issue of Honda Tuning is the debut of my work as a freelance writer for Source Interlink!! 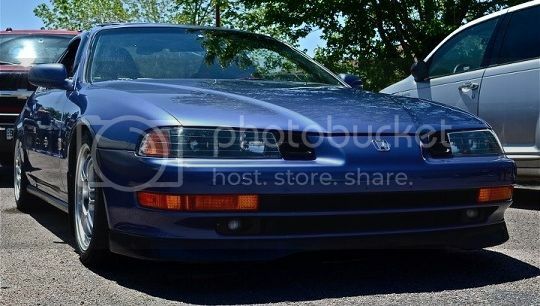 I wrote about a nice, boosted 5th gen Prelude! Please show support for me, for a great magazine, and print in general by going out and purchasing your own copy. And look for more work done by me in issues to come! Re: May 2011 issue of Honda Tuning issue is out, and it has a nice 5th gen in it! Congrats on your journalism debut Big Mike. I'll be sure to pick up this issue and look forward to seeing more of your work in the future. Congrats on getting your article in there. I'll try and order a subscription if I have some cash in my bank account. I recieved my issue by mail, good write up. Hope you get more work published. Got it last week. Great work, Mike. Didn't know you were a writer Mike, did Joey get you hooked? Sounds great man, thanks for the support! I work with what I am given bro, it's just that simple. I wasn't given any numbers. I've always been in to writing and so on, I just finally found an outlet and subject matter that I love working with in an industry that I love. I don't understand your last question though.